A quick washi tape tip for you today. 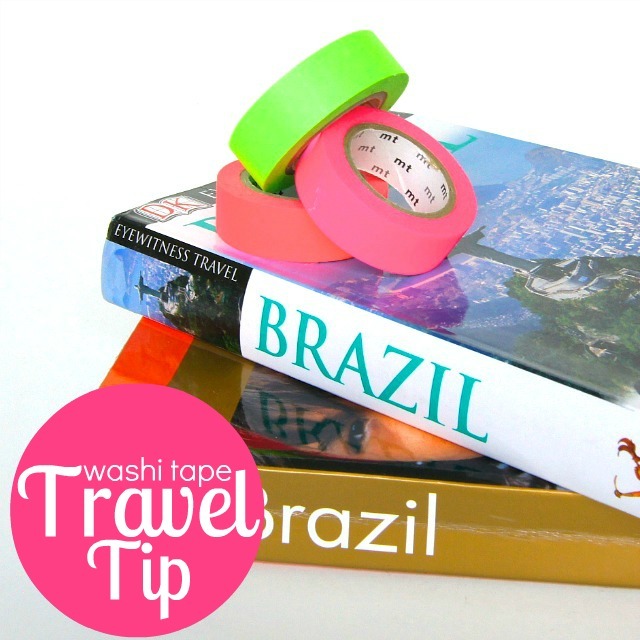 When planning your next trip, why not grab your washi tape and use it to tag interesting pages in your guidebook? 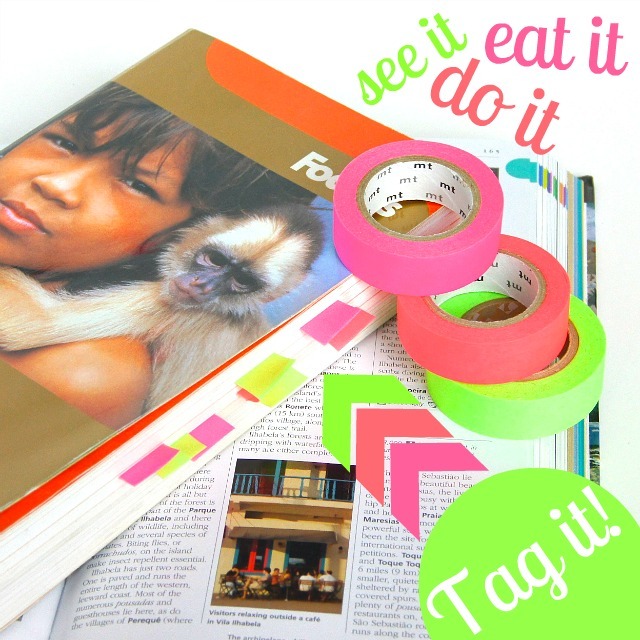 Choose a few colours to mark things you want to See, Do and Eat and you'll be feeling organized in no time. Pretty (and) clever, right? When the trip's over, your tape tags should easily peel right off!